An Indianspacecraft has picked up its first X-rays from the moon with a little help froma small solar flare. A Europeancamera on India?s Chandrayaan-1lunar orbiter detected a faint X-ray signal coming from a region near oneof NASA?s old Apollo landing sites for a brief three seconds. But the signalwas clear enough to spot traces of magnesium, aluminum and silicon making upthe lunar region. ?These dataare the building blocks of the first global mineralogical map of the moon - keyto understanding ouronly natural satellite,? said Detlef Koschny, the European Space Agency?s(ESA) Chandrayaan-1 project scientist. Chandrayaan-1?sEuropean-built C1XS X-ray camera caught the short X-ray burst from the moon onDec. 12 just a small solar flare began pummeling the lunar surface to spark thefluorescence, ESA researchers said. Scientistswere surprised to pick up any X-ray signals at all since the flare was about 20times weaker than the lowest limit the C1XS camera was designed to detect. ?Thequality of the flare signal detected from the moon clearly demonstrates thatC1XS is in excellent condition and has survived the passage of Chandrayaan-1through the Earth?s radiation (or van Allen) belts with very little damage,?said the camera?s principal investigator Manuel Grande of the AberystwythUniversity. ?This is excellent news for the rest of the Chandrayaan-1 mission.? 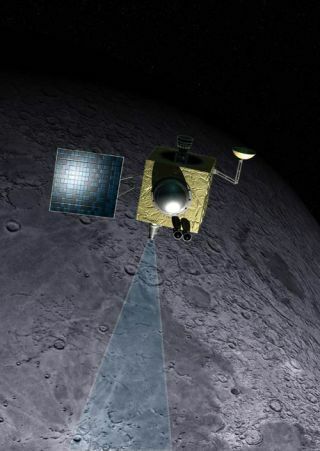 Chandrayaan-1is not the first spacecraft to scour the moon for X-ray signals to uncover secrets ofthe lunar surface composition. The space-based Chandra X-ray Observatory andESA?s SMART-1 moon probe, for example, have also used X-ray cameras toscrutinize the lunar surface. But Chandrayaan-1?scamera may yield new insight because of its sensitivity, researchers said. ?Theinstrument has exceeded expectations as to its sensitivity and has proven byits performance that it is the most sensitive X-ray spectrometer of its kind inhistory,? said Shyama Narendranath, the Chandrayaan-1 instrument operationsscientist at the IndianSpace Research Organisation (ISRO). Indialaunched the Chandrayaan-1 toward the moon in October 2008 and entered orbit amonth later armedwith 11 scientific instruments to map the lunar surface and its composition.The spacecraft also dropped a small probe that slammed into the moon to takeclose-up photographs and test technologies for future landers.